Ockham's Razor Gives a Clean Shave! - Together, We Make Memories! Ockham's Razor Gives a Clean Shave! William of Ockham, (c. 1287–1347) was a English Franciscan friar, scholastic philosopher, and theologian. His principle states that among competing hypotheses, the one with the fewest assumptions should be selected. Or, to boil it down to just three words, "Simpler is Better." While not always true in custom framing, we present today an example of why it's hard to argue with the notion that the simplest answer is often the best! Posters tend to be self contained. They generally don't require matting, and are often "straight fit," that is, framed as they are. 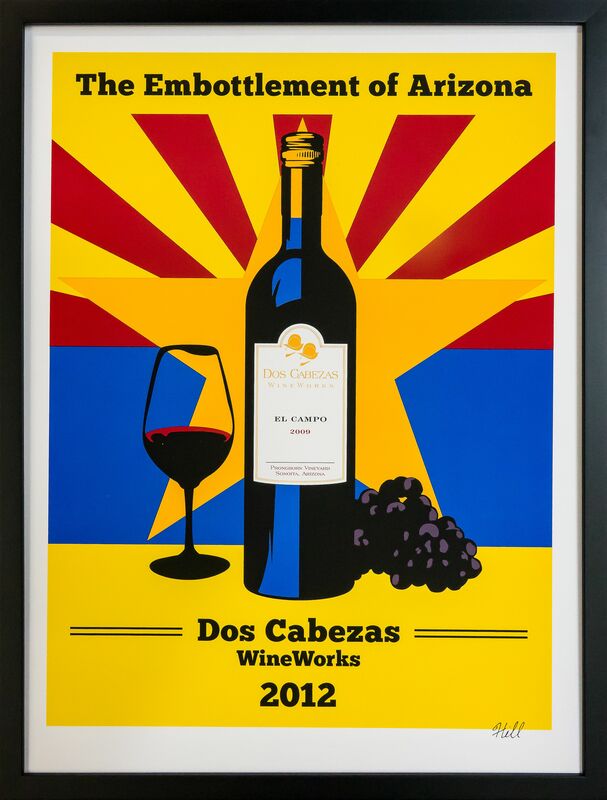 This spectacular poster, from Dos Cabezas winery in Southern Arizona, Is a true classic. It's bright, colorful, dramatic, and powerful. The drama and simplicity cries out for a simple and dramatic presentation. In consultation with our client, we arrived at this bold presentation, a Studio Moulding 1" basic black cap, elegant in it's simplicity, yet adding a touch of drama to the overall presentation. Our client was thrilled at the end result, and of course, we raised a glass to celebrate our mutual success. Cheers!